When Mr P decided to take a random week off work, I was ever so excited for the family fun we would have together. I didn’t care that we didn’t have time to plan extravaganzas. It didn’t have to be anything special, just the four of us making memories, is enough for me. 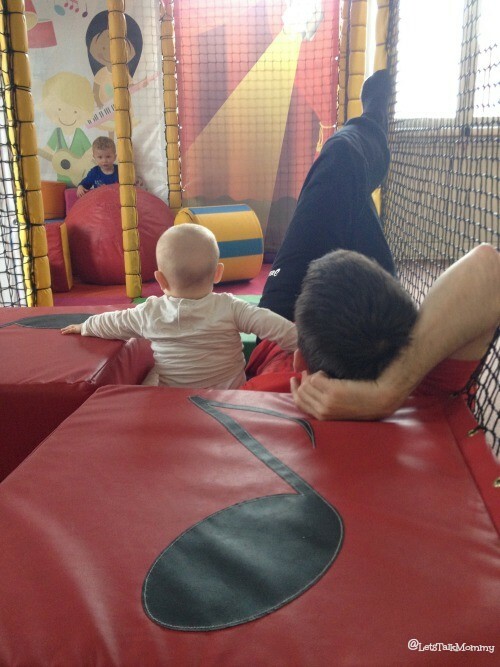 It was midweek, so we decided to go to the soft play area near us. We figured it should be quiet. To our surprise, we had the entire place to ourselves all afternoon. I love a good soft play area. 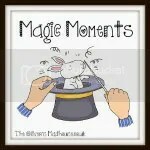 What a great invention for kids and parents alike. I am not sure if the big cities back home in the states have these, but where I grew up, we definitely didn’t. The closest thing we had was Chucky Cheeses and that was a four hour drive from us. I never got to run around, climbing, jumping, screaming, shouting, chasing, throwing, and rolling all over the place to my ends delight like my kids get to now. If the USA haven’t jumped on this amazing band wagon, they should pronto. 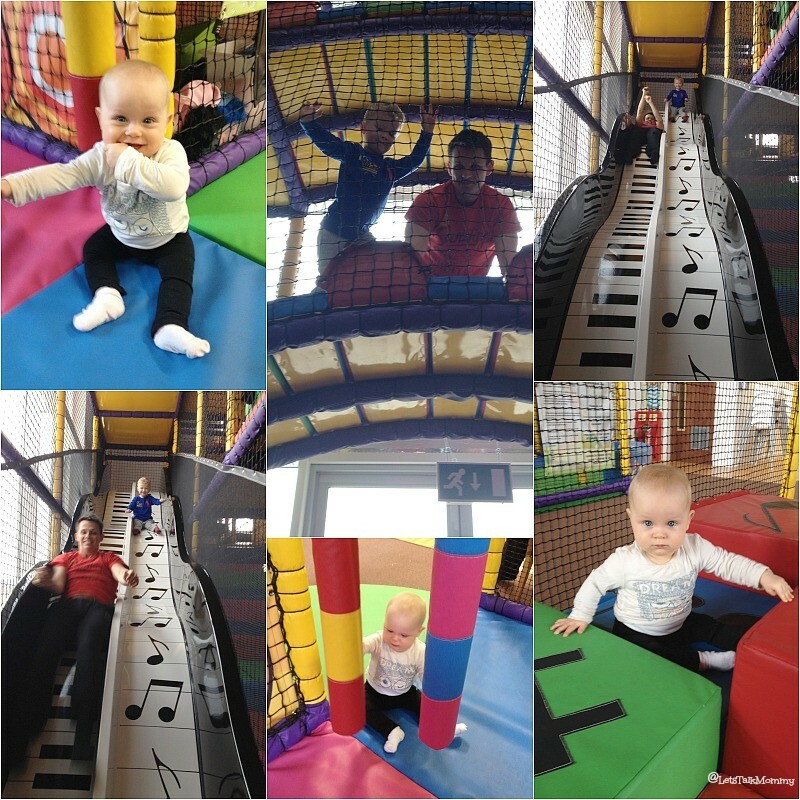 I don’t know where I would be without our soft play area days especially midweek while it’s raining and I am sick of the sight of my own four walls. Buba thought he had won the lottery. Running from each side of the room to the other, shouting, “where is everyone?” Calling for his Daddy to come join him in his fun. And boy did we all have fun, just lounging around, watching Buba run his energy off and Missy Moo attempt to pull herself up on various plush toys. It was nice to lay in the middle of it all, get ourselves comfortable with Missy Moo playing near us and chat while Buba ran around us. Something you can’t really do with a bunch of other families around. That would look ridiculous and I am sure a few parents would have something to say about it. But we didn’t have to think about that. Overall, we did what we always do, spending the afternoon at a soft play area, but this time Daddy was there, and we had it all to ourselves which was truly magical and made some great memories. I remember looking up and seeing Mr P kicked back with his feet up, Missy Moo sitting in the crook of his arm, watching Buba build on the far wall in front of them. It’s a picture I will have with me forever. Sounds simple, but I am ever so grateful for these family moments. Oh I would LOVE to hit it just right and have the local soft play area all to ourselves!! HOW FAB!!!! I have to confess I have never taken my lot to one of these places by choice, I think I’ve been 3/4 times in total and that was because it was a play date each time!!!! They kinda stress me out. BUT if we were to go when it was nice and quiet and capture some great pics like you guys – I might be persuaded! 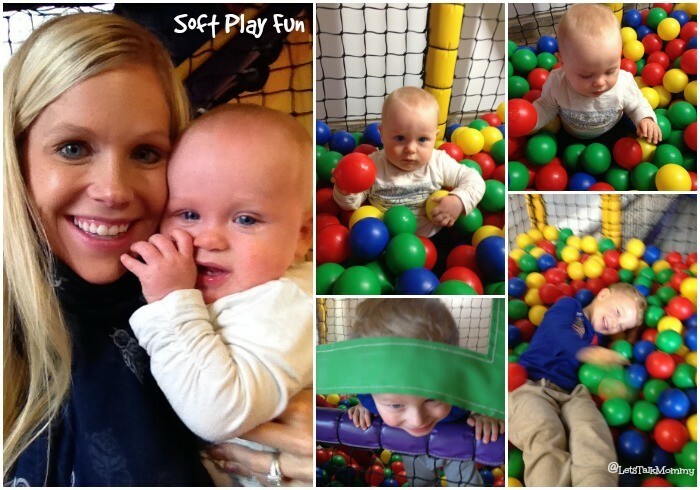 We love soft play too, and isn’t it amazing how nice they have gotten? I wish we had them in America. They are amazing especially with two kids. Exactly, why don’t we have these all over america. They are amazing especially with more than one child. Thanks we are so lucky as it’s a new one right next to our house. Walking distance. Ahh that sounds fab Sam. I didn’t realize that it’s a new thing in the UK. It’s great. I thought so, America usually isn’t one to be behind but it really should catch up with this one! Love it. They should be everywhere. I love them. Oh wow! 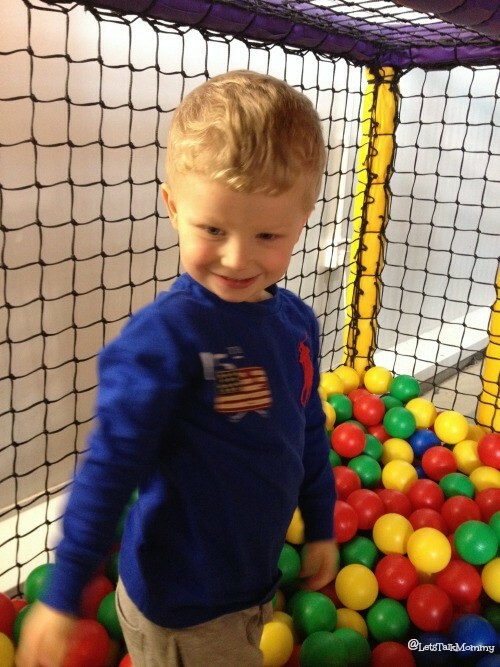 soft play all to yourself is pretty much the holy grail for small children – and your looks fabulous. Ours would be amazing if it was just us, but alas, it’s usually mobbed! haha The other two massive ones near us are always “mobbed” but this one is tiny and brand new so we love it so far. It sounds like an absolutely perfect afternoon. 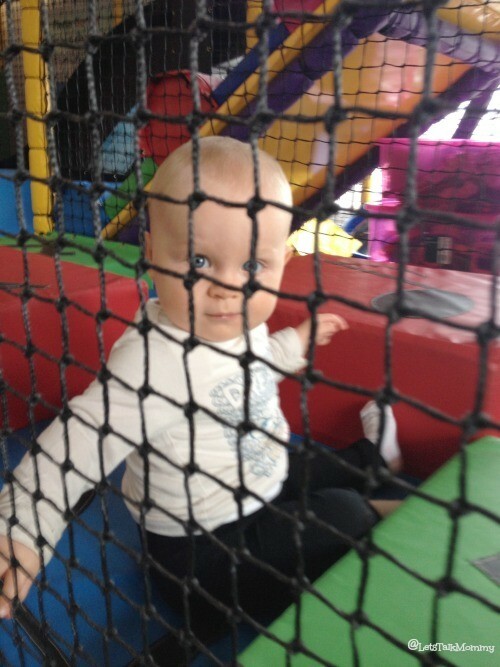 How lucky to have the whole place to yourselves, whenever I visit soft play it is always heaving! Was it Tiny Rockers? I recognise the slide, and have been meaning to visit for a while now. Must make time to go. We went about 2:30 to 4! Always after the kids naps. Do you live near by this one or you have one near you? Some are always busy. Ya we are lucky there are so many around us and this one is smaller so we catch it a lot in the afternoon quiet. It’s hard when they are heaving.